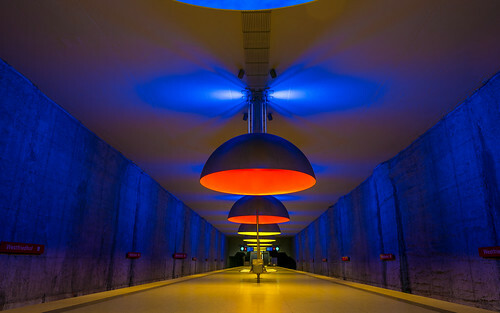 München (Munich) has some incredible U-Bahn stations that create amazing photographs. Each Monday for the next few months I will feature a different U-Bahn station for my 'Munich Monday'. Some stations I have posted last year - those were shot handheld; this time I was on a tripod with a legal permit. I begin with Westfriedhof, the first station I saw in person and where I instantly connected the design to photography.